The subject of this Titan health insurance company review is California-based Titan Marketing Group. This company was chosen because they deal directly in health insurance whereas other companies bearing the Titan name do not. Titan Marketing Group should not be confused with a sports marketing company operating on the East Coast of the United States. That company has been the subject of many complaints and rip-off reports. Enter your ZIP code into our free search tool below to begin your search for health insurance rates online. 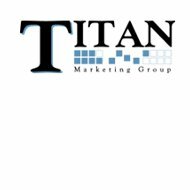 Titan Marketing Group should also not be confused with Titan Insurance Company, a Nationwide Insurance subsidiary dealing only in auto insurance. Titan Marketing is an independent company acting as a producer for World Insurance. They sell only World health and life products through a network of agents around the United States. According to the company website, Titan takes a no-nonsense approach to health insurance, giving its customers a straightforward and hassle-free experience. As a producer organization, Titan contracts with World Insurance to produce its health insurance policies, which can then be sold to individual consumers as the company sees fit. Although World Insurance sells a fairly extensive list of insurance products, Titan limits itself to only a few health and life options. Their most utilized health insurance option is something called the World Savers Choice. World Savors Choice would be considered a typical health insurance plan comparable to a combination HMO/PPO program. It is designed to help mitigate the costs of routine health care while providing coverage for major medical expenses. While the insurance is very affordable, there are deductibles and annual limits that dictate it might not be the right choice for everyone. With a program such as this is important to make sure you have all the details before agreeing to purchase a policy. Titan Marketing does not sell any policies directly from its California offices. Rather, it contracts with independent agents all across the country. Their promotional materials really push the agent aspect of their business in ways that sometimes paint a realistic picture for potential new agents. They claim to produce only the best leads, provide a business model that will assist in growing the agent’s business, and have a unique system of making sure commissions are paid on time. Several reviews we read written directly by agents suggest that Titan Marketing Group may not live up to their claims to the letter, but is still a decent company to work with. A couple of the agents said they would prefer to contract directly with World Insurance but since that’s not possible, they were happy to contract with Titan. Among the agent reviews we read, we didn’t find any who were generally dissatisfied. If you’re interested in finding a Titan agent, the corporate website offers an agent locator tool. However, it’s not an instant, online tool like some other competitor use. Instead, you fill out a form online which then is sent to the agent closest year location. That agent will contact you as soon as Titan forwards the information on. If you’re interested in receiving a quote from Titan Marking Group for health or life insurance, their website does offer a free quote tool. Although we did not try it ourselves, it appears as though users would fill out an online form and then wait for a quote to be returned via e-mail. The company claims the quote is free and with no obligation to all users. It’s not known how long individuals must wait for their quote to be sent, but we assume it wouldn’t take more than 24 hours or so. Even with an online quote in hand, expect to receive a call from a Titan agent. If you decide from that quote you’re not interested, simply let the agent know when he or she calls. If you are interested in pursuing things further, the agent will ask an extensive list of questions in order to get all the details about what you need and what they can offer. The entire process could take 15 to 20 minutes depending on your agent. Your search for online health insurance rates can only get started when you enter your zip code into the box below.